Installing a new roof or replacing an existing roof by yourself is simpler and faster with the help of a high-quality roofing nailer. You don’t have to go for the least expensive or the most expensive. There are many quality nailers in the marketplace, and all of them pack a lot of features and abilities. However, we want to concentrate on one of the best roofing nailers. It is called CN445R3 SuperRoofer Nailer made by Max. 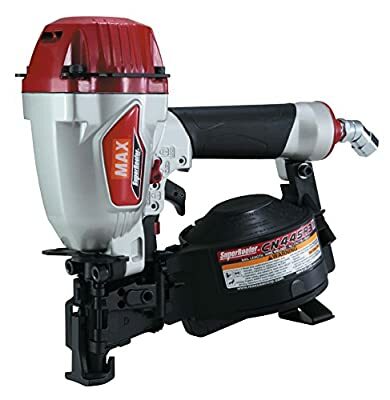 Max is a renowned brand all over the world, and they made the first roofing nailer in the US. This is the latest model from this manufacturer, and it is not short of features. MAX CN445R3 Roofing Nailer is a lightweight tool yet very powerful. This tool features switch flexible depth control, rapid-fire trigger, shingles guide, trigger lockout, roofing round driver blade, magnetic nose, and much more. The nose of this tool is specially designed to resist tar. 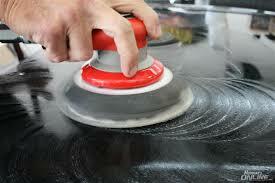 In fact, it can resist tar four times better than other conventional tools. This means you can use on roofing with tar without fear of damaging its magnetic nose. This feature locks the nailer from shooting when it’s not in use. The lock is as a result of the device being detached from the air source. This nailer has an end cap filter that is easy to maintain, whose purpose is to catch sand and micro dirt. However, it allows air and oil into the device. By locking out dirt and sand, this filter helps keep the internal parts clean, and thus your tool can last longer. This helps hold the last nail in place, so it doesn’t fall off the device and cause damage to your roof. 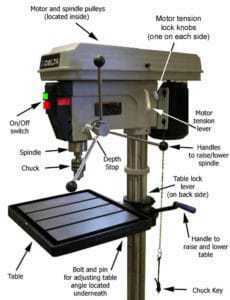 Max is known to make quality and durable tools, and that has been its tradition. CN445R3 Roofing Nailer is not different. 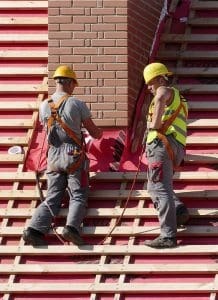 It has been made purposely for roofing tasks and thus will last for a long time if you use it for its intended purpose. It has a switch depth control that doesn’t need other tools for it to offer precise depth control. MAX CN445R3 Roofing Nailer is lightweight as compared to conventional nailers, which means you can use it for a long time without feeling fatigued. It also has a comfortable, non-slip grip for easy handling. This nailer also comes with a tool-free depth control dial that prevents nails from penetrating too deep into the surface, which will make them lose their purpose. Because of the attention and details they put into their products, Max certainly is one of the best power tool manufacturers. And this is probably the reason CN445R3 SuperRoofer Nailer is such a great product and the new kid on the block. Packing quite a lot of punch and kick in its compact, durable body, this tool is one of the best roofing nailers on the market. There is a lot about this tool. For instance, it comes with adjustable depth control, magnetic nose to hold nails with ease, rapid-fire trigger, and much more. The shingle guide is another great feature, which comes in handy when you are nailing shingles on your roof. All these features make MAX CN445R3 SuperRoofer Nailer one of its kind.